There is no abstract but the pdf may be downloaded. White Elephant Lodge (WEL) lies within the Pongola Game Reserve (PGR) in northern KwaZulu Natal (KZN), South Africa, close to the Swaziland border. The author ringed here for several days in each year from 2004 to 2006. 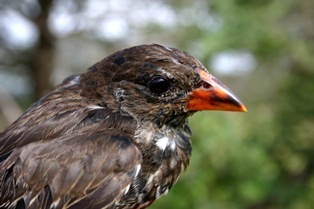 The Red-billed Buffalo Weaver is at the edge of its range in KZN. It has been recorded at Nkonkoni, at the southern end of Lake Jozini, approximately 30 km from WEL. A small breeding colony was present at WEL in 2003 and 2004 (at Leeuwspoor) but was eventually displaced by an expanding monkey population. The Southern Masked Weaver is scarce in lowlying parts of KZN, so it i interesting that a fair number were caught. In 2005 there was a massive influx of Red-billed Quelea into the Pongola Game Reserve (a number easily exceeding one million birds was estimated to be present). 285 quelea were ringed and one of these was recovered in Malawi (ring AM40693).